Should You Open Your Park To Investor-Owned Mobile Homes? Are you looking for tenants for your park? Or are you just starting out and setting up your policies? The key to responsibly managing your site is to set out the rules and regulations. You need to decide how you will divide lots in the park and whether you will rent them out or sell them. Many mobile home park owners struggle to decide whether it is a good idea to open their park to investor-owned homes. Manufactured housing is an up-and-coming market for realtors and investors. It’s important to know about the potential pitfalls as well as the advantages of this type of occupant. 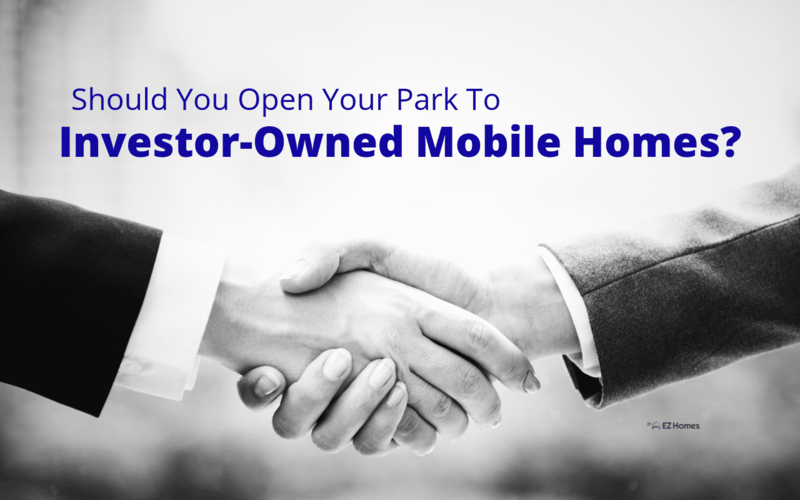 In this article, we’ll share some information to help you decide whether or not you should open your park to investor-owned mobile homes. As an owner of a mobile home park you probably already have an idea of the different types of residents that you can get on your property. Experience with traditional real estate will definitely be an added bonus. Fantastic as mobile homes are, they come with their own sets of challenges. One of the main things that you should keep in mind is that manufactured homes can be moved. So, the lot and the house are managed separately. When lots are vacant, they’re not bringing in any income. So it’s essential that you work out the process for the division and allocation of lots in the park. Leases: You can rent out empty lots with the utilities. Otherwise, you can rent out the lots with homes that belong to you. Lease with option to purchase: This is a contract where the property owner and tenant agree that the tenant will have the opportunity to buy it after a specified rental period. Selling lots: You can also decide to sell lots in your park. Again, you can sell empty stands, or you can sell the lot with a previously erected manufactured house. Non-owner occupied homes: There are several ways that this can work. We are specifically going to focus on investor-owned homes. It involves investors owning or leasing properties in your park that they won’t occupy themselves. Instead, they will rent them out. Whether these are empty lots or homes as well depends on the set up of your park. You can see that there are plenty of options for you to choose from. There is a lot for you to consider. But don’t worry – it doesn’t have to be as complicated as it sounds. Let’s take a look at this more detailed breakdown of opening your park to investor-owned homes. You might not immediately think of investor-owned properties when you think of mobile homes. But more and more investors are looking for new opportunities in this sector. It is an appealing option for individuals who want to invest in lower cost alternatives to other types of real estate. 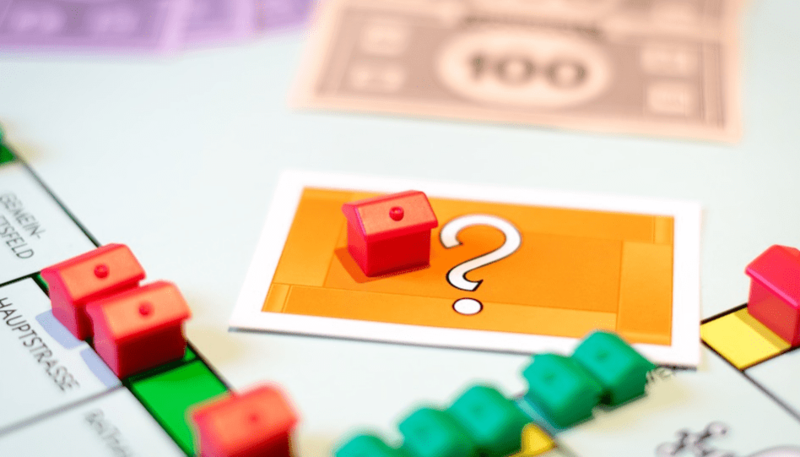 From investors’ viewpoints, the initial costs of mobile homes aren’t too high, and they have a lower than average turnover than traditional real estate. So don’t be surprised if investors come to inquire about lots in your park. What does opening your park to investors involve? So, how will having investor-owned homes in your park actually work? First off, there is more than one type of non-owner-occupied mobile home. Not all of them are necessarily investor-based. (Investors being individuals who are going to lease the homes or lots to tenants for profit.) You may run across situations where parents or relatives have bought or are renting out the property for their family members. The fact that you can either only lease the house or the ground or both does complicate things. How it will work out depends on how your park is organized. Option 1: If the lots are for sale, an investor can buy it and then decide to rent it out with or without a home. Although it is usually up to the investor to then find and approve the tenant, they are still subject to the rules of the park. Option 2: You can rent the mobile home lot to the investor, who owns the home that is parked on it. They can then rent out the house to a tenant. A tricky part of this is that they can decide to sell or move the home. This is the most common option and the focus of the article. All of the regulations about subletting the lots in your park need to be stipulated clearly in the agreements between you and the person renting your property. Keep in mind that most states have laws that stop you from preventing the owner of a mobile home from subletting or selling the house even if it is parked in your park. Even though some park owners might welcome investors, it isn’t necessarily for everyone. It might not fit into your vision of your property or your management style. It’s clear that there are benefits to the investor renting lots from you. But maybe you’re wondering what’s in it for you. Fill up vacant lots: A significant concern for any park owner is how to fill up all the lots on your property. Vacancies mean that you aren’t getting income from those stands. If investors rent the lots from you, that’s a steady income. Plus, if the mobile home is vacant, it is up to them to advertise and find tenants for it. Less involvement: With investor-owned homes, you won’t need to be as involved with the lot and the tenants. Yes, more engagement means more control. But the larger the park, the more effort it will require. It can become too much to manage on your own. Gathering rent: Nobody likes the hassle of collecting rent from individual tenants. With investor-owned homes, you don’t have to collect rent directly from the tenants. Instead, you’re collecting lot rent from the investor. Because this is their business, they are often more reliable and more punctual with their payments. Low risk: Running a mobile home park always involves risk. However, if you open your park to investors, this risk is spread out. These are some of the major plus points of these types of contracts. Like everything in life, there are disadvantages to allowing investors to own or lease lots in your mobile home park. They can cancel out some of the benefits. You should be aware of them beforehand to know if you are willing to handle these challenges. This way you can also prepare for issues before they arise. Third party: With these types of contracts there is a third party involved. You don’t directly make an agreement with the tenant nor do you usually communicate with them. Instead, everything will go through the investor. Somethings can get lost in translation, and there is always another individual to consider. Complex: Because there is a third party involved, agreements can become much more complicated. Any legal contracts need to make provisions for everyone who is involved. You should expect any arrangement to be more tricky. Delays: One downside of not having direct contact with the tenant is that communication will take more time. When you want to send them a notice or ask a question you might have to wait longer for a response. You should consider setting up a line of communication for security and other urgent issues. Keeping track: It can be difficult enough to keep tabs on the occupants of the lots in the park. These issues will be multiplied if there are investor-owned homes. The owner of the mobile home can help you gather the information that you need, but you are dependent on them for this. Thorough administration and record keeping are essential to stay on top of things. The paperwork is essential to having a good relationship between you and your tenants. Verbal agreements might look more convenient, but in the end, they can cost you. So make sure to get everything down on paper. The written agreement needs to stipulate the conditions of leasing a lot in your park. You need to clearly lay out whether they can let their manufactured home or not. Besides this, the contract should give a list of all the rules of the park. These can include regulations about maintenance, common spaces and pets. Whatever you decide to do, you need adequate information about the laws on mobile homes and mobile home parks. Even if you have a legal advisor, we recommend that you have at least a basic knowledge of the legal aspects. Take a look at this article for more information on this side of manufactured homes. Remember that different states have different regulations regarding lease and tenancy agreements. You need to look up whether there are any laws that prevent you from placing restrictions on who can occupy lots on the property. Due to the growing popularity of mobile homes, most states have devised Mobile Home Park Acts. Listen to some investment podcasts: Podcasts are a fantastic resource. Use them to your advantage. There are wonderful ones available on investment and real estate which can help you. Do some research: There is always more to learn about real estate and investment. By doing some research, you can protect you and your mobile park and make sure you know what non-owner occupied homes require. Consult with real estate professionals: Experienced or not, it can’t hurt to ask other real estate professionals for advice. They can share their past experiences with you and give you some tips on how to cope with any possible issues. Ask your legal advisor: Your legal advisor will make sure that you correctly draw up any agreements or contracts. They will also be able to tell you about the relevant laws in your state. 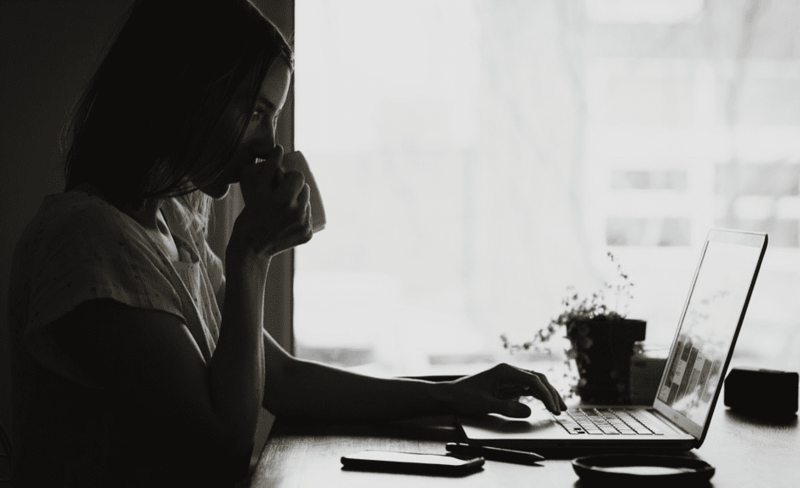 Conduct a background check: To help you avoid trouble along the way, try to determine whether the investor is professional and responsible. You will feel more secure if you know that they are carefully following proper protocols and procedures. Don’t hesitate to ask them for a record of other investments or other similar questions that you would ask any other tenant. These points are a great place to start if you want to know how to open your property to non-owner occupied homes. Running your own mobile home park can be challenging. But it can be extremely gratifying as well. Hopefully, this article helps you decide if you want to open your park to investor-owned mobile homes. Remember that if you are still unsure, there are always experts who can help you through the nitty-gritty details of the process.